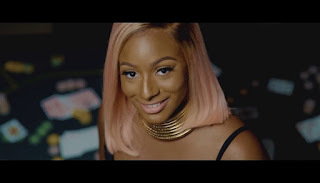 International DJ and Producer Florence Ifeoluwa Otedola popularly known as Cuppy , gives us her 2 release this year ‘ Currency ’ a follow up to her last release ‘ Vybe ’ which featured Ghanaian superstar, Sarkodie. L.A.X and this Infectious gbedu will no doubt be hitting clubs, DJ sets and charts across the country! Cuppy is already known as a gifted DJ and creative, but ‘ Currency ’’ sees her step even further into artistry and we’re loving it. Upon hearing ‘ Currency ’ its contagious sound is certainly captivating, by, the sounds of it will be a firm favourite in Afrobeat playlists across the world!